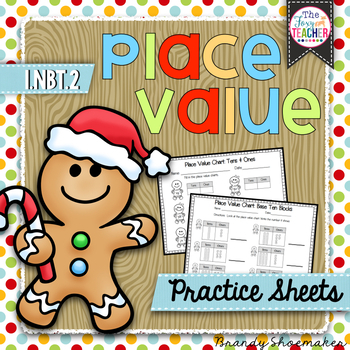 Place Value: First Grade: Gingerbread Place Value Practice Sheets & Center activity! 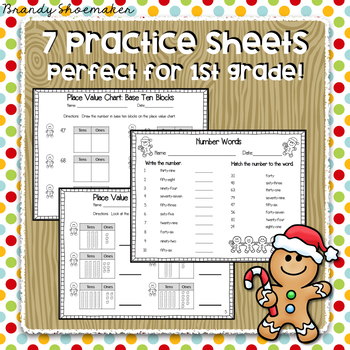 Your kiddos will enjoy the Christmas theme of these gingerbread place value practice sheets. The set focuses on tens & ones (place value tens & ones charts, base ten representations, number words) and includes seven different practice sheets with answer keys. 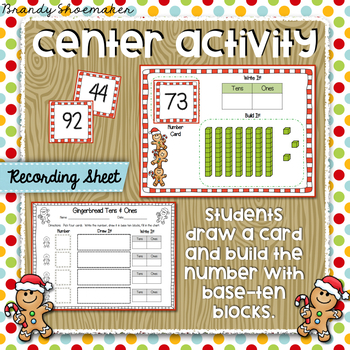 Set also includes a center activity with work mat, number cards and recording sheet. 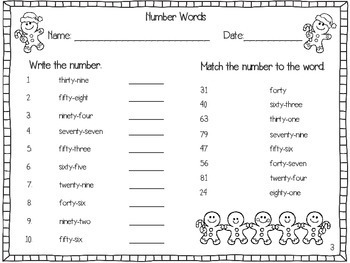 Students choose a number card, fill in the place value tens & ones chart, and build the number with base ten blocks.